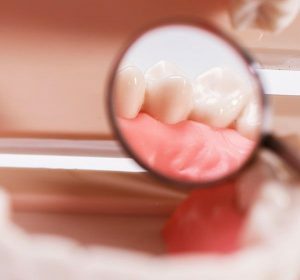 Composite fillings, also known as tooth coloured fillings, are used to repair a tooth that has been damaged due to decay, cracks, fractures and other factors. It’s important to fill the cavities immediately as this prevents further damage to the affected tooth. Tooth fillings ensure that you can use your tooth to bite and chew normally. Nowadays, you don’t need only to choose silver fillings. Because of the advancement in dentistry, people can now have fillings that look natural and more discreet. Modern composite fillings are made from materials that are strong and hardwearing. Thus, they can easily withstand the wear and tear usually done by your back teeth. The materials can be closely matched to your natural tooth colour which will create a strong and virtually invisible filling formulated to last for several years before it needs to be replaced. Composite fillings produce highly aesthetic results. They are also a healthy way to repair and restore your teeth as the composite resin material strongly bonds with your teeth. Today, composite fillings can be used to fill cavities in any of your teeth. Fillings only require one appointment. To start the treatment, your dentist will first remove the decay, prepare the tooth and condition the tooth enamel. If the decay is near the nerves of the tooth, the dentist will apply a special medication for added protection. The filling will then be precisely placed, moulded and polished to restore your tooth to its original shape and function. It’s normal to experience sensitivity to hot and cold foods immediately after your fillings have been done. But this will subside fairly quickly once your tooth acclimatises to the new filling. The dentist will give you instructions on how to care for the filling after the treatment is completed. To make your new composite fillings last longer, you need to maintain good oral hygiene practices, healthy eating habits, and regular dental visits. If your tooth has signs of decay, don’t wait for the condition to worsen and to damage your tooth further. This can be prevented with our composite fillings. For decayed, chipped or cracked teeth, your Cardiff dentist may recommend composite fillings to restore the strength, shape and function of your teeth. Protect your teeth and your smile with a strong and natural looking composite filling at Cardiff Dental. Contact us on (02) 4954 6888 today!